We sat for about an hour and a half waiting for this big one to be washed out to sea. 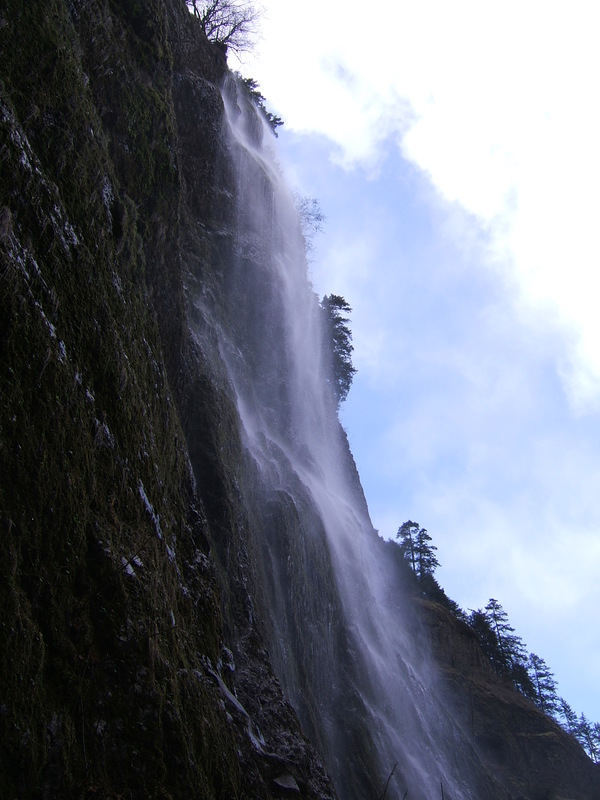 On the drive out through the Columbia River Gorge, we stopped (as we always do) to hike up a side valley full of waterfalls. 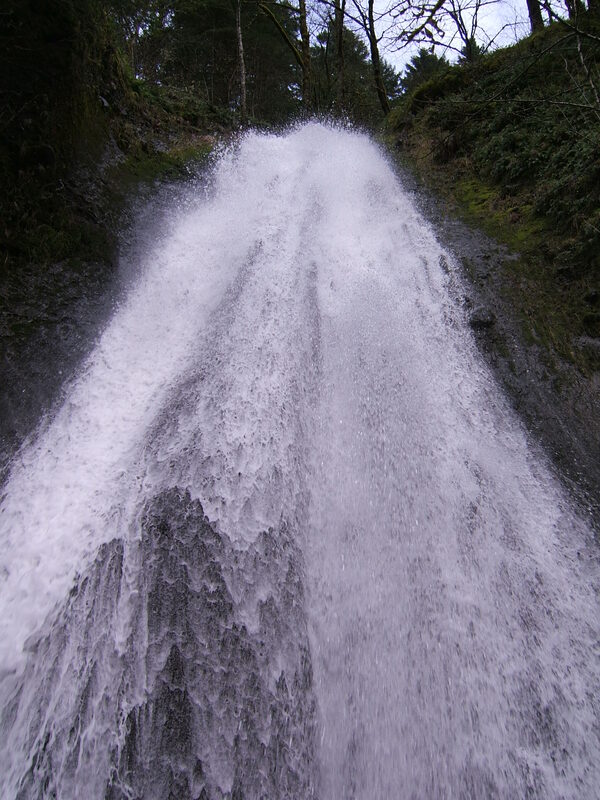 This is Wahclella Falls. ‘Nuff said. The video speaks for itself. 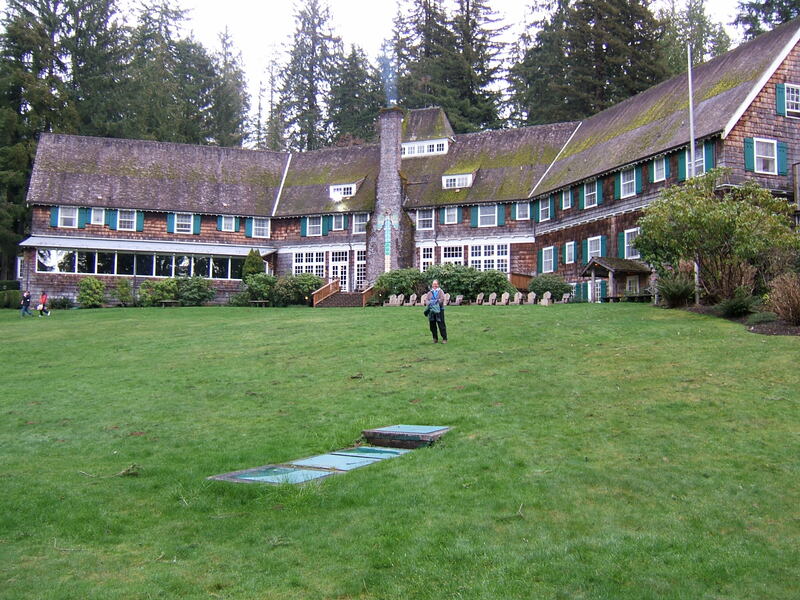 We’re staying at Lake Quinault Lodge which was built in the 1930’s and made famous by visits from President Roosevelt. 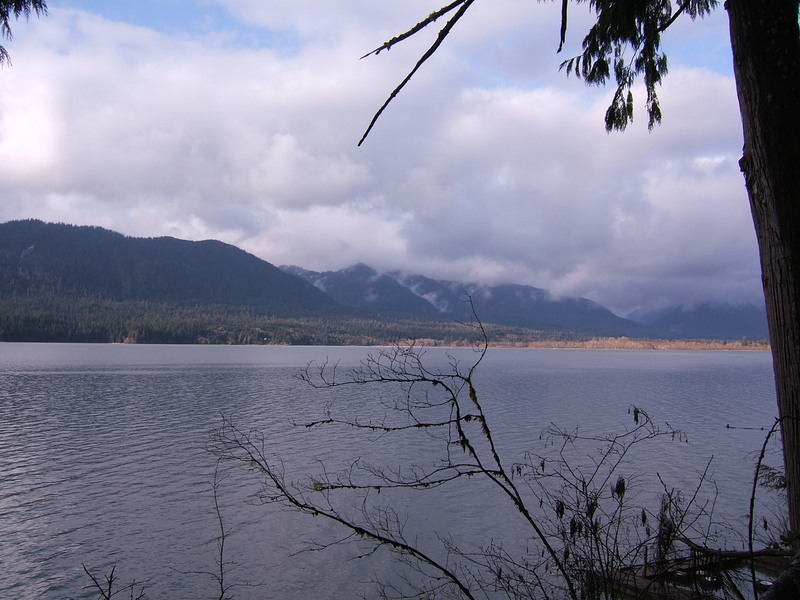 It overlooks (wait for it…wait for it…) Lake Quinault. And lastly here’s a photo of the traditional painting style of the indigenous peoples. 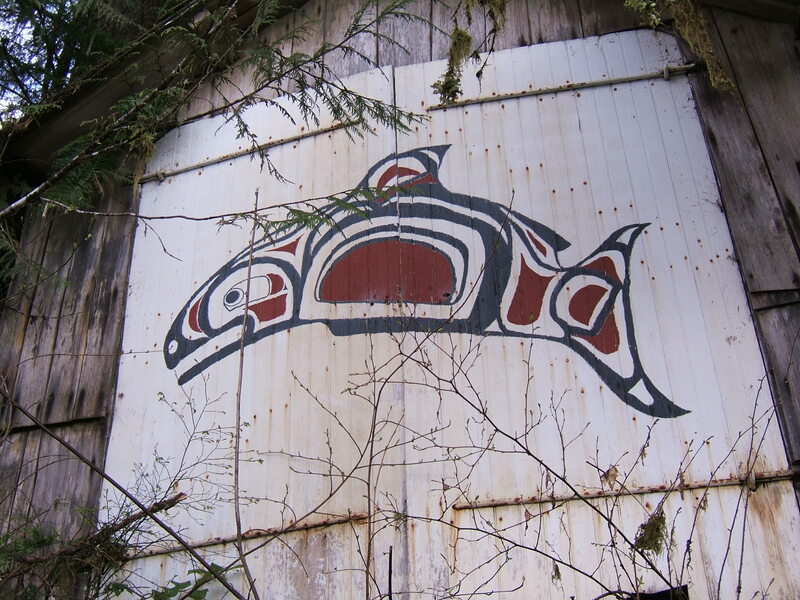 This was painted on the backside of an overgrown boathouse facing the lake of all places. One never knows where treasure of this sort will turn up. That’s it for tonight. I’ll do a wrap up with more photos once we return home. 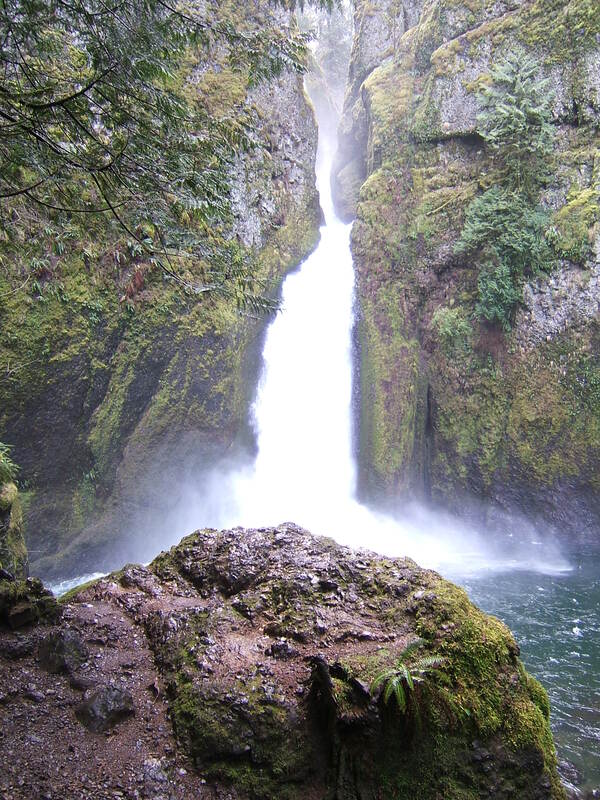 I love The Gorge! Thanks for taking me on a quick trip. First…Happy Anniversary and Birthday! 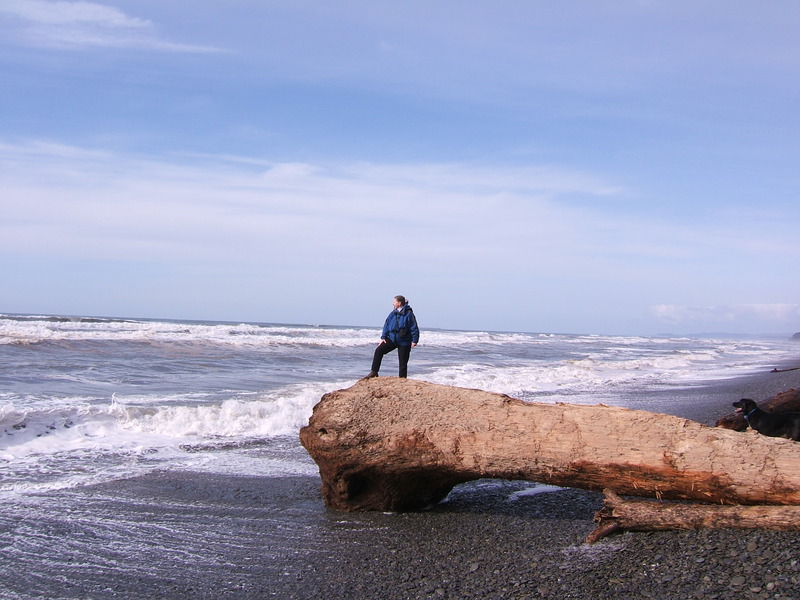 And a better place to celebrate both, could not be found than the rain forest of the Washington coast. How fortunate are we!? 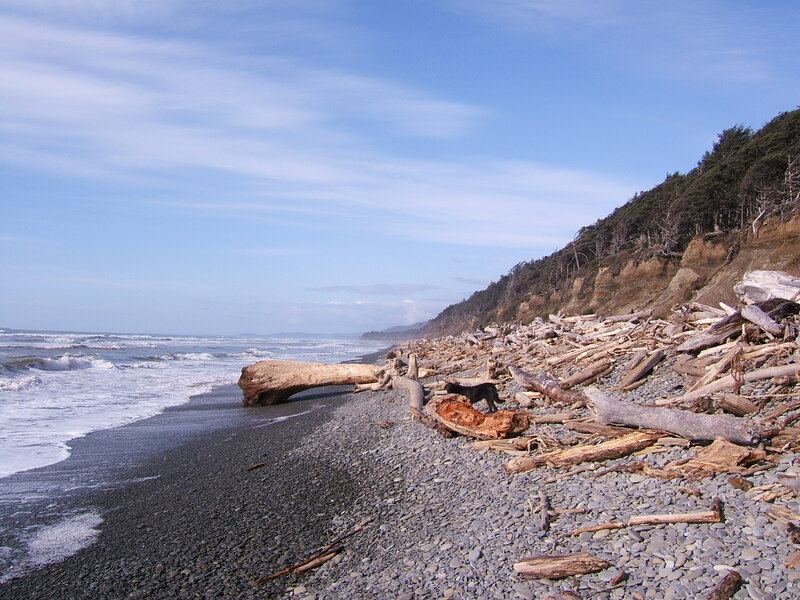 And…a freind asked me if it was gloomy here. Although we were blessed with sun the first two days…we came here for the “gloomy”. What a word to describe what feels so NOT. 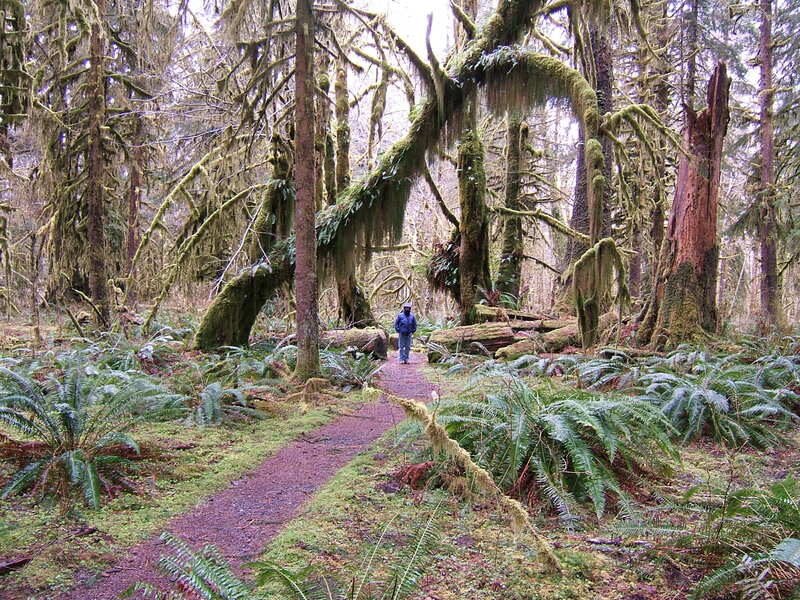 I was born in Seattle and spent the first 9 years of my life in these kinds of forests. Growing up…I can’t remember one day of “rain”. We lived across the street from miles and miles of forest and every day, mom let my brothers and I out to play all day on our own. We played and played…and never said (it is raining, we can’t go out, it is gloomy). As I sit at the lobby desk writing this post and looking out the window at the lake…I give thanks to God, and the spirits that protect this place…that we could spend time here…together. I’m so glad you’re celebrating in such a beautiful place. Michael and I have been looking at the videos and we are both in awe. Whoa! Now I know why my daughter bought a cabin there! Inspiring!